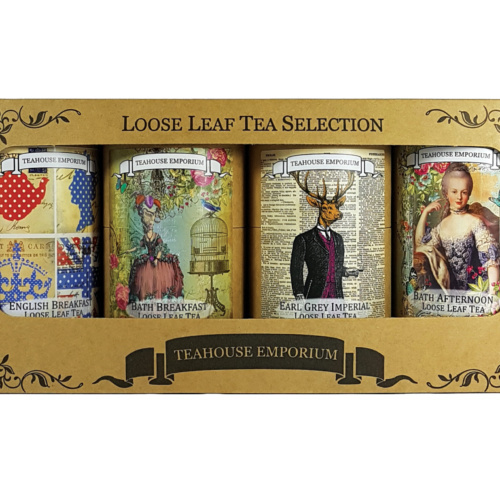 An elegant gift box containing 4 of our loose leaf gift tubes. Our Citrus Rooibos blend was one of the first teas we stocked when we opened our shop! It’s unique citrus flavour became an instant hit and it’s now our best selling flavoured rooibos! 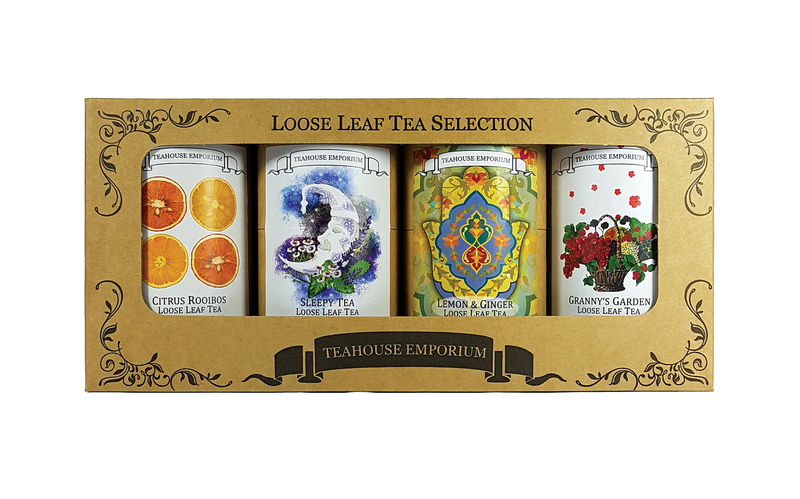 Ingredients: Organic rooibos, lemon grass, orange peel, aroma, marigold and thistle flowers. 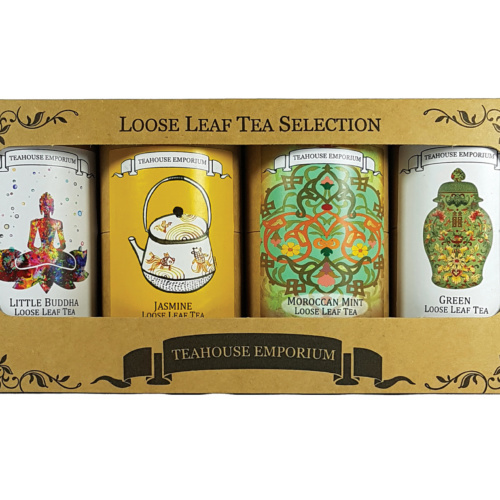 A loose leaf herbal blend created to help relaxation and aid with sleeping. 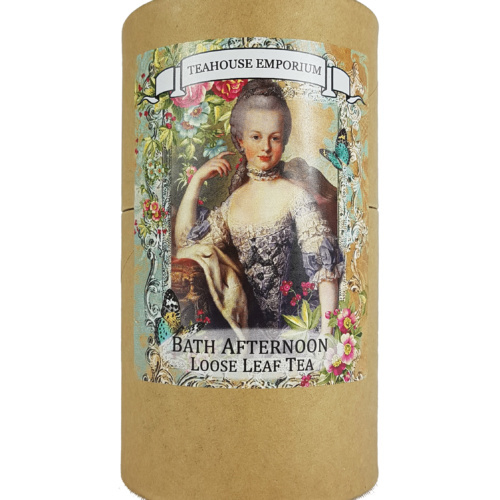 Ingredients: Lemon balm, Camomile, Lavender. This herbal blend gives a strong, well balanced flavour that’s great after a meal or at any time during the day. 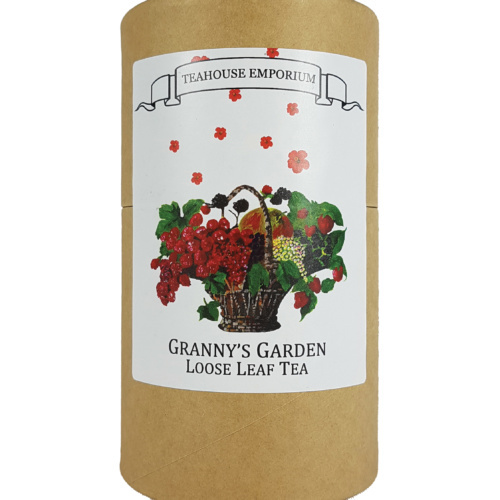 Our best selling fruit tea is a blend of red berries and hibiscus. The infusion is deep red and has a lovely natural red berry flavour. Ingredients: elderberries, beetroot, blackberries, raspberries, black chokeberries, redcurrants, beetroot, apple, hibiscus, aroma, blackberry leaves. 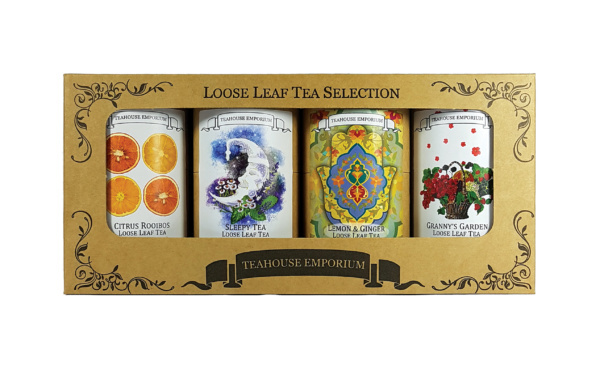 Find our full ranges of fruit tea, herbal tea and rooibos tea online today!